“The road was clear and beautiful in front of me. I felt within me that urge, the sensation of speed, the feeling of tearing up the fine cool morning air as I got up to speed. I was out of sight of the pits and was making for the village of Gueux. As I changed up to second gear, I felt perfect in tune with everything, with the roaring of the exhaust echoing loudly among the nearby buildings.” Prince Bira is a gentleman racer and a cheerful writer, albeit not the world’s biggest talent at both. 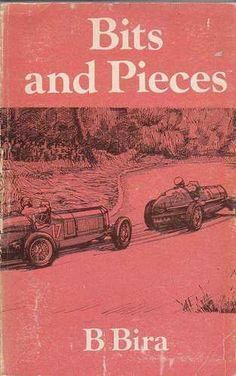 Yet this book contains twenty brilliant recollections of Chula’s and Bira’s racing in England before the Second World War. Recommended for historic motorsport enthousiasts.